You want to leave money to the Humane Society of the United States in your will. You also want the flexibility to change your will in the event that life circumstances change. You can do both. In as little as one sentence, you can complete your gift. This type of donation to the HSUS in your will or living trust helps ensure that we continue our mission for years to come. View and download your FREE copy of A Guide to Making Your Will. Meet Tom and Martha. When they got married and created a will, they included a $75,000 gift to the HSUS. As the family grew to include three children, Tom and Martha decided to revise their gift to ensure their children's future financial security. 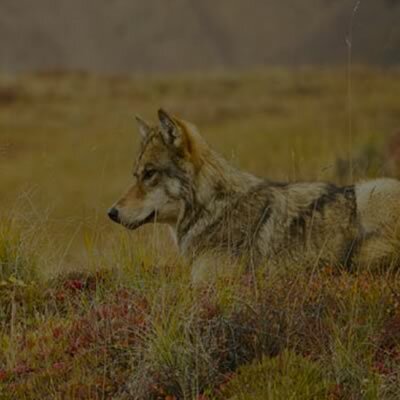 They met with their attorney and revised the gift language so that the HSUS received a percentage of their estate, instead of a specific amount. Tom and Martha now rest easy knowing their plans will provide for the people and charitable work they love. Create a secure future for you and your loved ones with our FREE Personal Estate Planning Kit. Contact Steve Maughan at 301-258-3004 or smaughan@humanesociety.org for additional information on bequests. If you include the HSUS in your plans, please use our legal name and federal tax ID. The Humane Society of the United States is registered as a 501(c)(3) non-profit organization. Contributions to The Humane Society of the United States are tax-deductible to the extent permitted by law. The Humane Society of the United States's tax identification number is 53-0225390. Have a question about planned giving? Our experienced team is here to help. Email or call 800-808-7858. 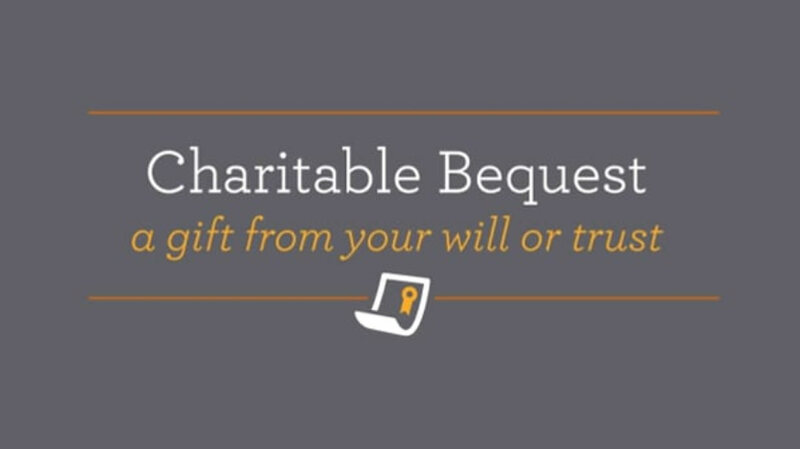 A charitable bequest is one or two sentences in your will or living trust that leave to the Humane Society of the United States a specific item, an amount of money, a gift contingent upon certain events or a percentage of your estate. "I give to the Humane Society of the United States, a nonprofit corporation currently located at 1255 23rd Street, NW, Suite 450, Washington, DC 20037, or its successor thereto, ______________ [written amount or percentage of the estate or description of property] for its unrestricted use and purpose." A donor advised fund is an account that you set up but which is managed by a nonprofit organization. You contribute to the account, which grows tax-free. You can recommend how much (and how often) you want to distribute money from that fund to the HSUS or other charities. You cannot direct the gifts. You fund this type of trust with cash or appreciated assets—and may qualify for a federal income tax charitable deduction when you itemize. You can also make additional gifts; each one also qualifies for a tax deduction. The trust pays you, each year, a variable amount based on a fixed percentage of the fair market value of the trust assets. When the trust terminates, the remaining principal goes to the HSUS as a lump sum. You fund this trust with cash or appreciated assets—and may qualify for a federal income tax charitable deduction when you itemize. Each year the trust pays you or another named individual the same dollar amount you choose at the start. When the trust terminates, the remaining principal goes to the HSUS as a lump sum. 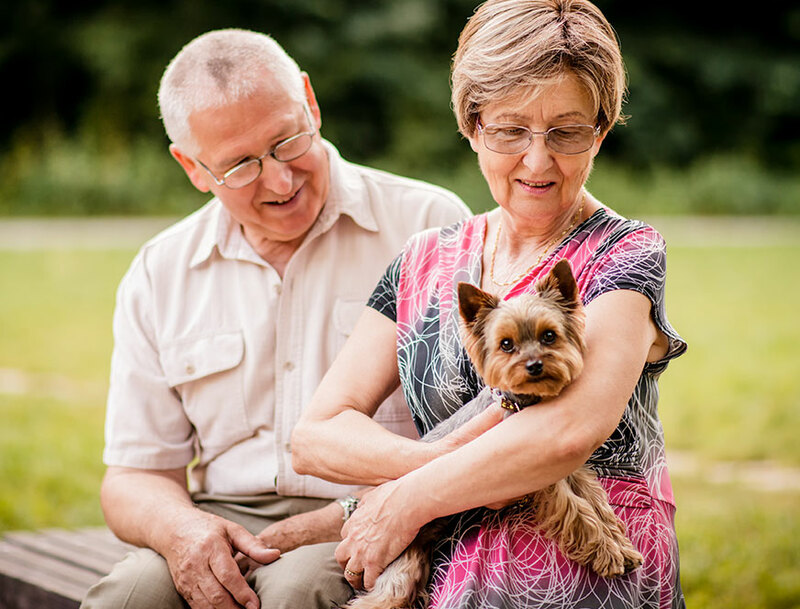 A charitable gift annuity involves a simple contract between you and the HSUS where you agree to make a gift to the HSUS and we, in return, agree to pay you (and someone else, if you choose) a fixed amount each year for the rest of your life.